Location: near Bluewater, Kent, England. 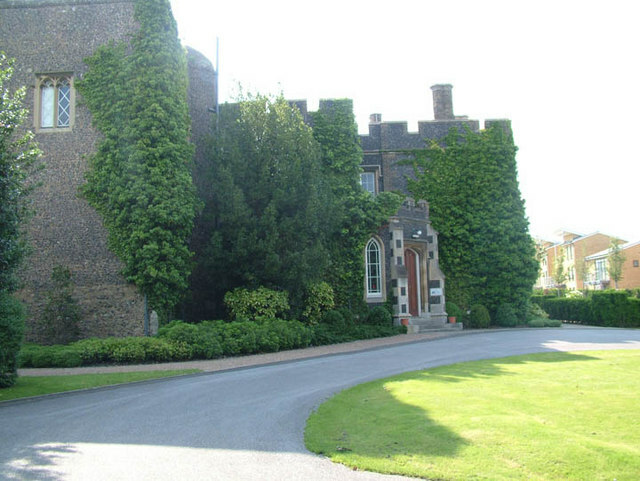 Notes: Stone Castle is a castle at Stone, near Bluewater in Kent, England. It was built between 1135 and 1140 on the site where William the Conqueror signed a treaty with the men of Kent in 1067. It was owned by the Wiltshire family, which included Bridget Wingfield, a close friend of Anne Boleyn, whose correspondence was used to help condemn the queen for adultery. In 1527, it was visited by Thomas Wolsey, Thomas More and the Earl of Derby. This was around the time Henry was first battling to marry Anne Boleyn, who lived at Hever Castle twenty miles away. During World War II, the RAF occupied the castle. It is now owned by Blue Circle, and the land is leased to Land Securities in 2000, and the building to the Heritage Conference Centre, a corporate and private function venue.